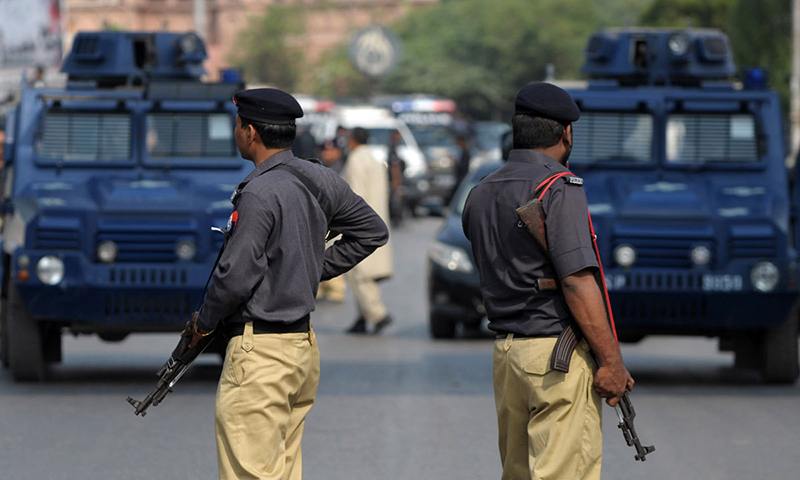 “The CTD Civil Lines carried out an intelligence-based action on the Business Recorder Road and apprehended six suspects,” the officer said, adding that some of the arrested suspects’ names were included in the ‘Red Book’ of the most wanted suspects. Two of the suspects, Mohammed Haider and Mehtab, were leading the outfit which was being provided “financial assistance from abroad”. In response to a question regarding last month’s deadly attack on prominent religious scholar Mufti Taqi Usmani, in which three people including a police guard lost their lives near NIPA roundabout in Gulshan-i-Iqbal, DIG Shaikh said that “important progress” has been made in the investigation and the media would be informed about it soon.